Come see our cottage-like townhome in a great location for students or families. Located at 1715 Welsh, near A&M Consolidated High School and Texas A&M University, this patio home is perfect for the investor or first time buyer. Just minutes from great shopping and a stop along the Aggie bus route, location says it all. Three bedrooms and 1.5 bathrooms make this home the perfect size for living and entertaining. New carpet, paint and updated hardware make this home a showplace. An open floorplan with spacious storage make full use of the square footage. Indoor utilities and a privacy fenced backyard make this townhome a deal for just $69,900. If you are looking for affordable housing in south College Station, take a look at this patio/townhome on Sunday from 2-4. See you there! A career worth having. A business worth owning. A life worth living. ...Find it at Keller Williams. Keller Williams has great education and support. The team leader is on staff and paid a salary to make sure each agent gets the education they need to take their business to the next level. The Keller Williams way is phenomenal. It will help you and every Keller Williams agent become a smashing success. Just another great reason to start a career with Keller Williams! Seriously, watch this video and tell us what you think. There's a great Keller Williams team in your area just waiting for your call. Start living your life today! I love all we share! We have so much to celebrate today!!! A wonderful husband, a wonderful father, many wonderful memories and may we create much more wonderfulness together!!! May this year bring the most wonderful memeories yet! I am so glad God thought it best for you not to be alone and saw me fit to be your helper. I love you, Andrew...Happy Birthday! Now is a great time to buy a house. Why? Prices are falling. I have seen many price reductions in the last two weeks. Some listings have reduced twice in the last two weeks. One house I recently viewed has just lowered its price by $20,000! While this is definitely not the "norm," I believe it does reflect a market that is slowing down due to the fact that many people try to be all settled into a new place before school starts and many more have put off that big purchase until school is out once more. But, if you are at ease with moving or investing this time of year, call for a list of current listings on the market. Buy now and lease it out when the students come in January for the spring semester. If you saw a house you just loved but weren't willing to pay the full listing price in June, keep a close watch on it. It just might fall into your price range! 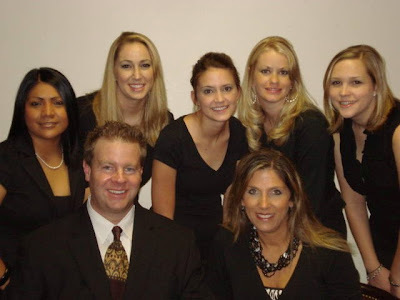 If you would like us to watch for you, just give us a call at (979) 260-3300. Once more...Tailgating this Saturday in front of the Heep building on West campus. Free limousine rides start in the Keller Williams parking lot at 2:00. Park and ride to the game...in style! 1. It's a night game. 2. It's fun for the whole family. 3. Taking a limo is cool. See ya there! Gig 'em Ags! This week our focus is attitude. We want to learn why we ask for certain behaviors and how we practice them! I am reviewing these verses constantly. My goal is to say, "What does Ephesians 6:1 say?" and have the response I am always looking for...Obedience, immediately, cheerfully and completely. Next week I will continue on with Phillipians 2 and discuss Jesus' attitude, He is to be our ultimate role model. I am camping here for awhile. I want my children to really learn and respond to these particular issues. Meet Parmeshwari. She is seven-years-old, just one month younger than Julia. 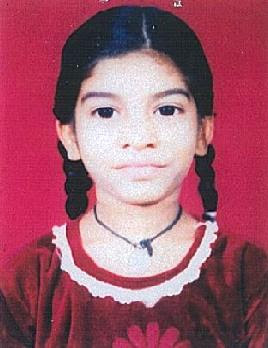 Parmeshwari was orphaned and brought to the World Faith Mission home in weak condition. She is now quite healthy and doing excellent in school. Meet The Smith Team. Here we are. See what we're doing to help Parmeshwari and others just like her. Join us in this worthy cause. Become a partner in what God calls perfect. Buy a home, feed a child. This is how The Smith Team is ministering to orphaned children. We have partnered with Worldwide Faith Missions to sponsor orphans in India. For every client that buys a home from The Smith Team, an orphaned child in one of the Worldwide Faith Missions orphanages will be sponsored. We have sponsored 13 Indian children so far. We hope to make it 100 in one year's time. Their precious faces are all so sweet. I wish I could hug them all, meet them all, adopt some, find the others homes... I am very passionate about this project. We are so excited to participating in the religion that God calls pure and faultless. We want our children to learn that we can help to make a difference. We want to lead them by example. We want them to know what we can accomplish together with hard work, vision and inspiration. There is life beyond our four walls and we are praying our children are aware of it and can give compassionately to others less fortunate. Our hope is that many children will be touched through this program. We are praying their physical needs of food and clothing will be met, as well as their medical needs and any schooling needs. The most exciting thing is that because of these sponsorships Worldwide Faith Missions will be able to continue to share the love and hope of Christ and the message of salvation with these children, widows and all of India. There are so many hardships in India that children are found wandering the streets alone. Children are found deserted in the streets alone. Children are left on the doorsteps of orphanages. Children are abandoned daily due to death, hardships and sickness. Take a second and think about that. It should be sobering. For a mere $15-20 a month, you can make a dramatic difference in somebody's life. You can give someone a life who otherwise may not eat or recover from a common cold. How much did you spend yesterday? On lunch? On school supplies? On gas? Seriously, you can make a difference. You also get to start a really fulfilling relationship with a child or woman from another country by letter writing and prayer. 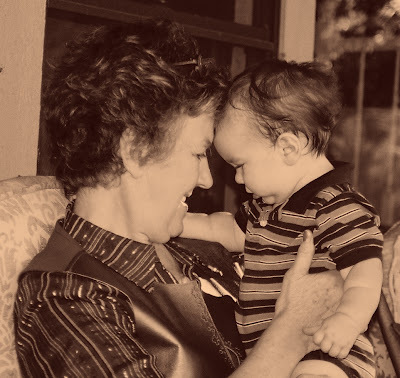 Who you just might get to visit one day and meet in person...but that's for another post! Together we can make a difference. Buy a home and feed a child! Here's the verses we're using for "God's Great Love." I'll post each week's topic and their verses so if you need some help, it's here! Several of my friends also have their devotional ideas on their blogs. I want my kids to know how much their precious Savior loves them. God's Word is clear that we are drawn to Christ and to repentance through His great love for us. Apart from receiving Christ's love for us, there is no way we can love others. Without receiving Christ's love for us, we cannot bear fruit in our Christian walk. Without receiving Christ's love for us, we have no hope at all. I want my children to desire to follow Jesus' commands out of a deep love relationship with a living Savior. So, we are doing verses on God's Great Love this week. We are talking about how God draws us to himself with love and how we want to be around people who love us. Then we'll begin talking about how Jesus gave his life for us and what great love that was and end the week talking about how we can love others in this same way. We'll talk about ways we can give lay our lives down to show love...like sharing, giving and sacrificing things. We'll talk about how laying our lives down can be death but mostly today it's in putting others before ourselves and how this shows Jesus' love to others in how we treat them and love them. There are a million verses on each subject that i hope to cover driving to school this year. For the most part I am choosing verses that I already have memorized because it makes teaching them that much easier. I will also pick some verses that I want to memorize and know them before the week that we learn them. I am using any time on the weekends to review and recite the verses and from time to time we are continuing reading in our Bible book that we read in all summer because we love it so much and hope to finish it someday soon! Are you ready for TAILGATING??!! for the Fresno State Game!! Lots of Food, Fun & Drinks!! 701 University Drive Suite 405. Limo will start at 10:30 am and make routes approximately every 30 min. Catch it with us on a giant plasma TV at our tent (near the HEEP Building)!! Park and ride.. no worries. Many of my friends have been sharing the ways that they keep their children anchored in God's Word. There are so many ways to teach our children how to spend time with God each day developing a personal relationship through Bible reading and prayer. I want these times to be fun, rewarding and fruitful. We have done so many things in previous years. We have had Good News Club each morning where we sing songs, read a Bible story, learn a verse and do a craft. We have had object lessons and parties to illustrate points that Jesus makes. This summer we read a Bible story each morning and brainstormed reasons why we think God put that story in His Word. Each child read independently in their children's daily Bible. This kept them in the Word and kept them reading each day. My visions of the perfect family is one where we sit around the breakfast table having a family devotion and praying together. Child number one gets up and needs her hair rolled. Child number one begins eating breakfast. I wake up child number two and she begins eating breakfast. Child number one needs a glass of juice and a bottle of cold water. Child number two needs a glass of milk. Child number three wakes up and needs a plate of breakfast. Child number four begins to cry from his bed. Child number three needs some juice and warm water. Child number four needs a bottle and some breakfast. Child number one needs help getting dressed. Child number two needs help getting dressed. Child number three needs help getting dressed. Child number four needs changing. It's time to get in the car. No prayer, no devotion, no Scripture reading. We pile into the Mommy-mobile and buckle our seatbelts. As we begin talking about the first day of school. The previously prepared devotion comes flowing from my mouth. Child number two desires to pray on the way to school. Children one and three desire to pray before we arrive at the school. Child number four has a bottle in his mouth and is buckled to a car seat and has no immediate need. We've done this each day and it has made a time traditionally filled with yelling, "Get your backpack, feet, hands, etc. off me," and "Wait, I forgot..." a pleasurable and productive time of sharing. Who knew Old Blue would be a vehicle of worship? So go ahead and get driving. Last week we did a verse a day on "Doing Your Best." We used Colossians 3:23 "Whatever you do, do it with all your heart working for the Lord and not for man." Colossians 3:17 "Whatever you do, whether in word or deed, do it all in the name of the Lord." Ephesians 5:15-16 "Be very careful, then, how you live—not as unwise but as wise, making the most of every opportunity, because the days are evil." Or, our version, "Live wise and take every chance to do good." This week we're doing a verse a day on "God's Great Love." My prayer is that we would seek the Lord about how and when to set a daily time aside to teach your children the most important lessons they'll ever learn and that we will be consistent and keep trying when we fail and fall out of our routine. Daily routines change and each season adds new challenges. May God release our creativity and flexibility when it comes to making His Word a priority in our children's lives. Here are some pictures of these sweet boys! It seems we have a real schedule with school here. I've found even the most spontaneous of people thrive on routine. There's something about being able to predict certain parts of the day that keeps you sane and focused. I'm all for last minute surprises and exciting unplanned activities (basically, with four kids this describes most of your life!) but I love the monotony of predictable days...get up, get dressed, go to school, come home, eat dinner, go to bed. These staples provide comfort in the turbulence of life. When our time is well planned the unexpected doesn't toss us around as much. With a plan we can anchor ourselves in Christ and actually look forward to the surprises and call them pleasant! We're in a good season. We love our new schedule. Even the things we love, like our new schedule, are hard to adjust to sometimes. I have had a hard time making this blessed schedule "regular." I like down time, that is time to relax, think, sit, ponder. With the new fall thing, there is not time for idling after 6:40 AM! This is making me a bear. I have been telling everyone to bear with me on the adjusting! After some Saturday morning down time, I think I'm smoothly sailing in to autumn! We took time off this weekend from hustling, from the gym. We took time to visit with friends at our awesome tailgate. We took time to snuggle in our pj's a little longer than Monday through Friday. We made our beds and vacuumed our floor before we rushed out the door. Sometimes routines need a little leeway...ours got it. Our new schedule is lovely! We go to the gym every morning and then run errands. By the time we get home it's lunch! If you have little boys then you know, this is one of their most favorite times of the day. My boys like to eat...lots. Today we started preschool...That in itself is food for another day's post! So, back to the non-preschool days. We finally got those down...after a week and a half! We got our get up, get dressed, eat breakfast, run errands, eat lunch, do chores and take a rest down for now. Hunter is a strong helper. He holds doors for me. He gets groceries off the shelf for me. He loads the car and pushes the stroller. He is teaching Palmer how to walk through a parking lot holding Mommy's hand. He folds towels, washcloths and socks and can even put them away by himself. He makes his bed, cleans his room and puts his clothes in the dirty clothes. He leads by a strong example. We're off to a good year. Palmer is learning so much these days. He knows the parts of the body including eyes, ears, nose, mouth, ears, hands, feet, toes and tummy. He knows blue, green and red. He says dog, milk, water, cracker and many other unintelligible things. He has had a toy phone glued to his ear while jabbering since Ms. Nettie gave it to him a week ago! He's a real estate agent of the future for sure! He'd rather be outside than in the house. He'll fight against sleep until it ultimately overtakes him...sometimes the fight can be long and intense. He leans forward to "kiss" with his forehead but offers his lips when you make the "mmmmuuh" sound as you kiss him. He's chipped his two front teeth. We don't know how. He never ever cries from pain! Mommy says it messes up his perfect smile, but only a little. Daddy says it makes him look tough and grown up. Now those are two words mommies don't like to hear! We are so thankful for your many sacrifices and love for us. Thank you for loving us, all six of us with a great big unconditional love. May your day be filled with celebrations and decorations. Have a wonderful day and year full of blessings. We love you! Whew! Saturday was exciting! Our tailgate was a smashing success. We missed all who either stayed home or could not find us. Seriously, take the limo next time...It knows right where to go. This coming Saturday I will leave detailed instructions here with street names for those of you who choose to drive or park elsewhere on your own. You really ought to come check out what you missed. It was so awesome to hear people say, "Y'all must have been doing this forever!" It was even more awesome to reply with a humble shrug, "No, this is our first time." Fun was had by all in attendance. The sun was bright, the Aggies were loud and supporting your home team can be a full time job in the south. I loved it in high school. I loved baking for the football team. I loved end of the third quarter performances. I loved the chants, yells and pompon's. I LOVE football at Texas A&M. I love the Aggie Band! I love that EVERY game is homecoming. I love the Twelfth Man. I love the sound of senior boots. I love the cannon going boom. I love to feel the exhilaration in the air as it tingles with competition. So, come out next week and feel the fun, experience the excitement and stay tuned for bigger, better tailgates ahead. As promised awhile ago here are some current pics of your favorite boys. So here they are proudly sporting new haircuts thanks to Pop and Yia Yia. We decided to let that be a tradition. When we visit Round Rock, we get haircuts from Junior. That way we have to go see the grandparents every few months and we're Aggies. We love tradition! Hunter loves Junior. He feels really brave and grown up when he sits in Junior's chair...and he looks really grown up and handsome when he gets out! We love Pop and Yia Yia! Don't forget about the par-tay...tailgating today in front of the Heep building on west campus from 2-? 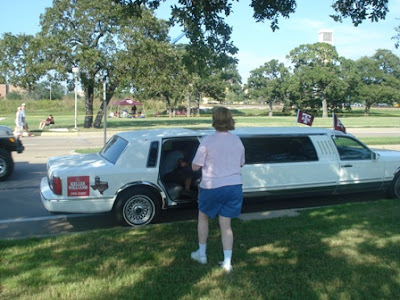 Limo rides from Keller Williams parking lot from 2-11PM. We'll have free food and a jumpy thing for the kids. See you at the game...Gig 'em Aggies!!! Still need tailgating info? Scroll down or check out our new blog at http://www.smithteamblog.com/ then click on my blog. The Smith Team has a new blog. We've just become part of the Active Rain community. This is a network of real estate professionals from all over the country. This is a great source for information from the real estate industry whether you're buying, selling, investing or just curious. Check it out!